Fuego volcano Volcanic Ash Advisory: PSBL VA EMS.  Fuego volcano Volcanic Ash Advisory: PSBL VA EM SEEN IN WEBCAM. Fuego volcano Volcanic Ash Advisory: VA EM STARTED AROUND 04/1115Z. Fuego volcano Volcanic Ash Advisory: VA EM AT 03/12Z AND 03/1315Z. During the peak of the 13th such episode this year, the volcano produced pulsating lava fountains, fed lava flows on the SE flank into Las Lajas and on the W flank into the Santa Teresa drainage that reached 1500 m and 2000 m length, respectively. Small pyroclastic flows were caused by collapses of the lava flow. Fuego volcano Volcanic Ash Advisory: INCREASING ACTIVITY WITH VA EM.